The Bank of Sierra Leone Act, 2011 provides for independence of the Bank in pursuing its primary objective of price stability through the conduct of monetary policy. It also seeks to achieve and maintain a stable and sound financial system through appropriate regulatory and supervisory policies that provides the right conditions for sustainable growth in output. Monetary policy is autonomously formulated by the Bank of Sierra Leone through the Monetary Policy Committee and implemented by the Monetary Policy Implementation Committee. The Bank of Sierra Leone seeks to achieve price stability objective by determining the monetary policy stance which is done by the Monetary Policy Committee. 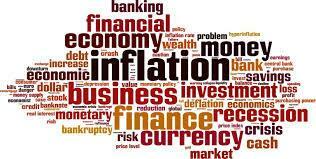 The Monetary Policy Committee consists of seven (7) members as provided for in the BSL Act, 2011 Section 21(2). They include the Governor, the Deputy Governor, three (3) persons appointed by the Governor and two (2) persons appointed by the Minister of Finance and Economic Development. The MPC meets every quarter to decide on the policy rate. This is informed by a pre-Monetary Policy Committee meeting which provides detailed presentations and analysis on monetary and financial developments during the quarter that affects the direction of policy. A Monetary Policy Committee Statement including factors that underpin the decision on the Monetary Policy Rate is published on the Bank’s website at 2:00 p.m. the following Monday. The Statement is published subsequently in the local electronic and other print media. The Bank of Sierra Leone (BSL) currently adopts a monetary targeting framework that focuses on the growth rate of a defined monetary aggregate. In the case of Bank of Sierra Leone, reserve money is the primary operating target. The intermediate target or nominal anchor is broad money which includes foreign currency deposits. The money targeting framework is based on the premise that in the long term, price development is affected by money supply growth.